Marbella is said to be Spain's capital city of luxury hotels. With a population of little more than 100,000, it amost has more luxury hotels than some great European capital cities. The Hotel is a classic, not only in Marbella but all over Spain. Just 500 metres from the seafront and facing the beach with its long promenade nearly all of the rooms have a view of the Mediterranean. Recently renovated in order to keep up with the competition in the area. The hotel has 184 rooms, 12 junior suites and 6 suites and a long long list of famous guests in its visitor's book. Located in the famous golf mile' this hotel has been recently renovated. All its rooms have private balconies with views of the gardens, Marbella or partial views of the Mediterranean. Set next to the beach it also has a designer outdoor swimming pool and very attractive areas to relax in. This hotel has an excellent restaurant where some of the best chefs have been invited to cook. Los Monteros has 33 rooms, 137 junio suites and 12 suites. This hotel is a fine example of traditional Andalucian architecture. It has subtropical gardens, fountains and palm trees and is next to the beach. The very spacious rooms are distributed in 27 bungalows set in 55,000 m2 of gardens. This pleasant hotel with its excellent sea views is surrounded by pine trees and 40,000 m2 of well kept gardens. It is located in the row of luxury hotels on the Cádiz road. Located in the 'golden mile' some 200 metres from the beach and near the conference centre. This hotel has excellent, fully equipped rooms with sea views - 30 rooms and 90 suites. 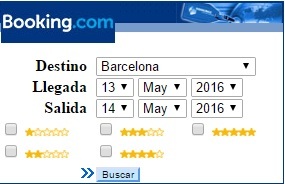 Look for its special offers in low season. Mountains, the coast and sea views with large and comfortable rooms. This hotel specializes in health and well-being. It has various pools and a well-being centre offering specialist attention (diet, skin, nutrition, beauty treatments, acupuncture…etc) to help you overcome the stresses and strains of everyday life. 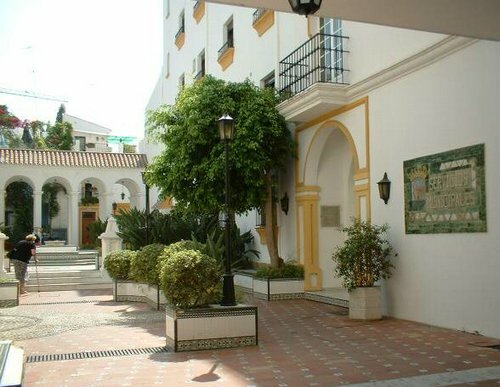 This Club Hotel located in the 'golden mile' has its place in Marbella´s history. Originally it was an estate acquired by Prince Alfonso von Hohenlohe in 1946. Today it is one of the smartest hotels in Marbella, with 42,000 m2 of gardens, it exceeds its 4 star category. It has various sports facilities specializing in golf - 20 minutes from the Centro de Talasoterapia -Spa.